As endorsed by Team Sky and British Cyclings Shane Sutton. "Ben and I have ridden together for over 20 years and unsurprisingly his training methods are very similar to mine. There are no short cuts in cycling and Ben keeps this philosophy and makes it simple. I've got no hesitation in recommending Bens coaching." "I first met Ben a couple of years ago when I was given a training ride with him as a gift. I am no elite athlete so have to confess I was a little anxious but Ben was absolutely brilliant from start to finish. He very quickly assessed my ability and how hard he could push me and not only gave me lots of helpful tips along our 60 mile route for the day but followed this up with a detailed email with useful pointers on how I should be training. I would recommend his services to anyone. He is a great communicator and a great motivator." 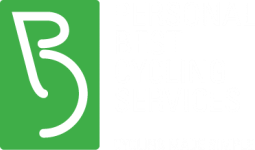 With over twenty years experience of cycling, both competitively at national and international level as well as a way to keep fit, throughout those years I have accumulated the knowledge and experience that can help you get the most out of your cycling. From coaching with Shane Sutton to working with beginners, from organising bespoke training camps and events to managing the routing for two of the UKs biggest fund raising grou﻿p cycling events, there is no aspect of road cycling that I haven't experienced. I run a training camp each spring as well as different bespoke events ranging from group trips to the Tour of Flanders sportive and weekends in Provence to private client trips to the Alpes, Ventoux and the Pyrenees. In the past I have worked with a variety of celebrity clients such as Tim Lovejoy, Gethin Jones, Martin Corry, Dawn Harper as well as Lawrence Dallaglio and Sam Branson on their charity events. In 2009 I won the World Masters Games Road Race title and took bronze in the Time Trial and have ridden for Great Britain and raced in events all over the world. I am the route director and cycling consultant on the Dallaglio Rugby Works Cycle Slam event, taking around 80 riders across some of the most gruelling terrain in Europe. I managed the routing on the 2014 Virgin Strive Challenge for both the Marathon run stages and the cycling stages from Calais to Verbier. I looked after the team from Cycling Plus magazine when they trained for and rode the 2014 Fred Whitten sportive event and contribute to the magazine from time to time. Combined with private work with clients that has seen them experience relative success in their individual fields, it is safe to say that there are not many people involved in cycling with the same level of experience or results. Historically I have worked with Sky on their internal employee program, managing training camps, training programs and events such as the Marmotte, Etape and Le Mans 24hour, achieving a 90% finishing rate in the mass participation events they took part in.